Last year, at the Zinemaldia, the San Sebastian Film Festival that is on par with Cannes and Sundance, a film premiered that peaked my interest. Named Amerikanuak, you can imagine what it is about - Americans! Turns out Basque isn't that difficult after all! Unfortunatley, the times of the showings didn't work with my work schedule and I missed it. Luckily, they did a reprive showing a few months later in a theater where the soundtrack was played live and the documentary was shown on a large screen behind the band. It was a new and impressive way to watch a show. Spoken mostly in Basque, I of course was reading the subtitles like a champ, but kept having to remind myself that although listening in Basque, I was seeing images from my own country. With the Spanish Carlist Wars in the 1830s and soon after the Gold Rush of the 1860s, many Basques came to the States looking for a new life. As we saw in the documentary, it was a tough life and those who have remained in the States - mainly California, Idaho and Nevada - haven't had it easy either. Faced with a dying culture as well as a disappearing trade, sheepherding, the documentary takes a look at the remaining Basques in Elko, NV. If you want to hear a little Basque in action, check out the trailer HERE. 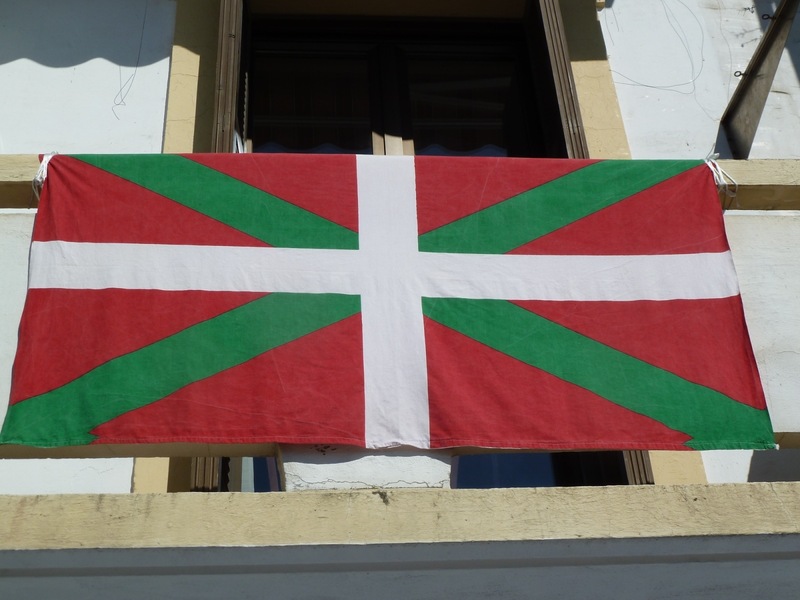 Based on the 2000 Census, there are 57,793 Americans with Basque descent. After the big peak of immigration in the 1800s, the wave of new Basques in the States shot down and has stayed low ever since. The people in that Census are thought to be the descendants of their countrymen who came over more than 200 years earlier. Seeing as we will soon be in the USA, I found it interesting to see the two culture mixed. It presents the part of the Basque culture in the States that seems to be dying out slowly, but the truth is that the Basque culture is still very alive in other areas. With Basque Organizations, kids on the West Coast can be proud of their Basque heritage by competiting in traditional Jai Alai, dancing traditional dances and learning thier mother tongue. Idaho is the state most associated with maintaing a good level of Basque culture. Not only is there a great Basque Club there which facilitates the dancing, language, sport, community, etc but also many Basques in high places. According to Wikipedia, the past Idaho Secretary of State, Pete Cenarrusa, and the current one, Ben Ysursa both claim Basque heritage. With Boise being sister cities with the famous Basque town of Gernika, the Basqueness of the area oozes. Boise State even offers a Basque Studies program. I have met students from there who have come here to perfect their Euskera! Even being in the US, hopefully we will find some things that remind us of the mother land! Woot Woot, shout out to NV :) We just had our Basque festival here last weekend in Reno!